The opiate crisis is hitting rural America hardest of all. Here’s why, and what’s being done. 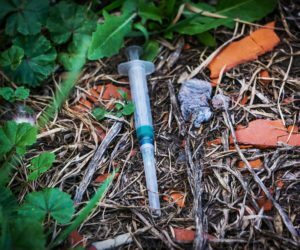 In the United States, 15 percent of the population lives in a rural area, where drug overdose death rates have surpassed those in urban areas. The opiate crisis it hitting country-dwellers hardest of all, and understanding why can help shape the way governments and other organizations respond. As many as three million people in the U.S. are addicted to opiates. Around 2.5 million Americans are addicted to prescription painkillers like OxyContin and Fentanyl, and another 467,000 are estimated to be addicted to heroin. The opioid crisis in America is due in part to an increase in the number of opiate medications prescribed, an increased social acceptance surrounding prescription medications, and aggressive (and sometimes illegal) marketing by pharmaceutical companies–many of whom are being sued by state and local governments for that very reason. Lower EMS response times due to longer transit times, sparse population concentration, and mountainous terrain. A lack of alternative treatment options for pain, such as physical therapy or complementary treatments like acupuncture, leaving opioids as the primary treatment method. A lack of addiction treatment options. Limited access to medication-assisted treatments involving medications like buprenorphine, suboxone, and methadone, due to a low number of rural physicians authorized to administer these medications. Some researchers believe that certain economic, environmental, and social factors also increase the risk of opioid abuse in rural communities. For example, since the 2008 recession, recovery is slower in rural areas, where job loss and dwindling populations are the norm. University of California-Davis epidemiologist Magdalena Cerda told NPR Illinois that rural populations may be particularly vulnerable to prescription opioid abuse as self-medication for symptoms of chronic economic stress. Additionally, the types of jobs available in rural communities include farming, mining, and manufacturing, which tend to have higher injury rates, leading to more pain and therefore more prescription painkillers, according to Cerda. Other research into opioid epidemic causes in rural areas shows that people who live in these areas tend to have larger, more sprawling social networks than urban-dwellers. This means that people who live in rural communities may have more opportunities for knowing where to get prescription painkillers or heroin. Understanding the differences between rural and urban areas in terms of the opiate crisis and tailoring prevention programming to the unique circumstances of rural communities. Teaching rural healthcare providers about safe opioid prescribing practices and treating opioid addiction. Increasing training and access to the overdose-reversing medication naloxone for emergency responders, families, high-risk individuals, and law enforcement. Increasing access to treatment–especially medication-assisted treatment–in rural areas. Numerous universities, advocacy organizations, local governments, and organizations like the American Farm Bureau Federation and the National Farmers Union are joining forces to combat the rural opioid crisis in America, but making a dent will be an ongoing struggle as the opiate crisis continues to grow and takes a major toll on rural lives and the coffers of rural communities.